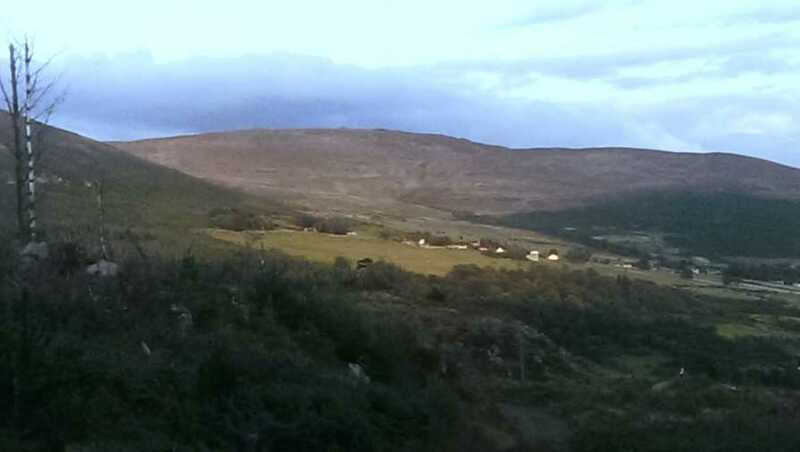 The most popular approach to this hill by locals is from the West, parking at either J09410 13490 A or J0919014294 B. There are tracks leading up the Poc Fada route (the yellow stones) and it can approached directly or by taking in Clermont Cairn first. From the south there is room for one car at J134 117 C along the minor road to the SE of Carnavaddy. Cross the stile here and follow the Tain Way trail across the open hillside until it ends at a T-Junction. Turn right and follow another trail to the base of the slope up to the summit of Carnavaddy. From the north, Carnavaddy can be approached via Clermont Carn. A minor road crosses the saddle between Clermont Carn NE Top and Clermont Carn at J 102 163 D. Another minor road leads from the saddle up to Clermont Carn, from which there is a distinct broad track running directly to Carnavaddy. There are a number of wet areas to be negotiated. This leg of the walk is approx 2.5K, necessitating some long drops and equally long rises on to spot heights IJ 10434 15374 E & IJ 10674 14847 F.
From the East, Carnavaddy can be accessed from the Long Womans Grave at J130138 G. There is parking for 6 cars at this spot. Tracks lead up the steep but short climb gaining the shoulder of the hill where the walking trail guides you to the summit.